Nicaragua is one of the poorest countries in Latin America. According to World Food Program USA, about 29 percent of households live in poverty and 8.3 percent live in extreme poverty on less than $1.25 a day. In those circumstances, you can imagine that many people struggle to meet basic daily needs; including providing food for their families. At Hope Road, we want to help alleviate this struggle by providing a stable food source. 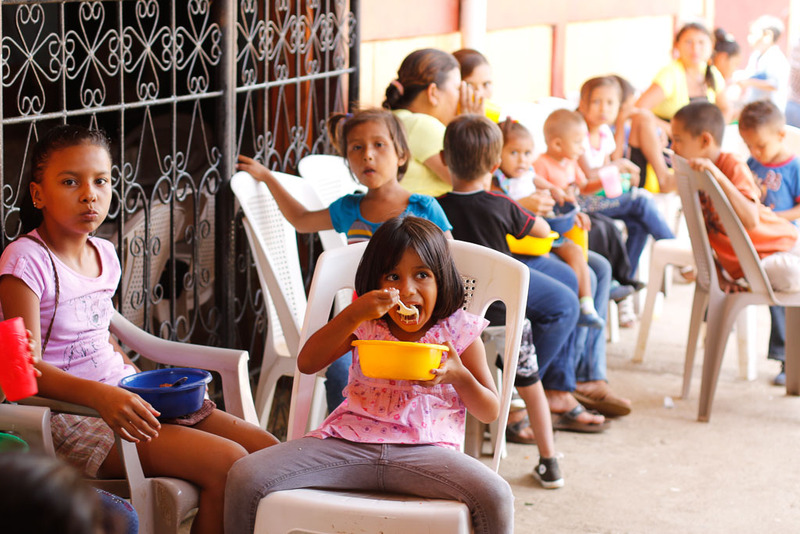 Our feeding program guarantees children in a community will receive at least one balanced meal 5 days a week. Just $1 provides a child one meal a day for the entire month. For every $5,000, we can provide 100,000 nutritional and balanced meals at the Hope Road Feeding Programs. Our partners at Orphan Network, often times through Rise Against Hunger, provide all of the rice and soy packs from for every meal. Each pack contains 23 essential vitamins and nutrients. Our partners at Orphan Network provide all of the beans for every meal. Hope Road provides vegetables, chicken, and tortillas. This costs us $3,500 per month and adds more nutrition and balance to every meal. "A hungry belly has no ears." A hungry person has no concern other than easing their hunger. For this reason, we believe it is vital to the growth and wellbeing of others to lead mission with social action. We strive to bring hope and ignite change by first meeting the physical needs of those we serve. Together, we will be able to meet the physical need of hunger so that more Nicaraguans have the opportunity to grow to their full potential. You can help create feeding program communities. 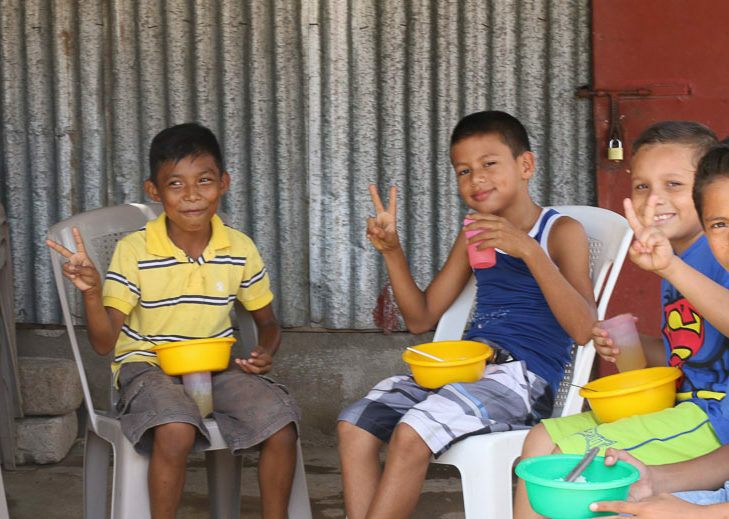 Thanks to our supporters, we have been able to provide feeding programs to 16 communities in Nicaragua. That means 3,000+ kids are guaranteed one nutrient rich meal each day. That's 875,000 meals a year! Our vision is that by 2020, we will have feeding programs in all 31 of our church plant communities! 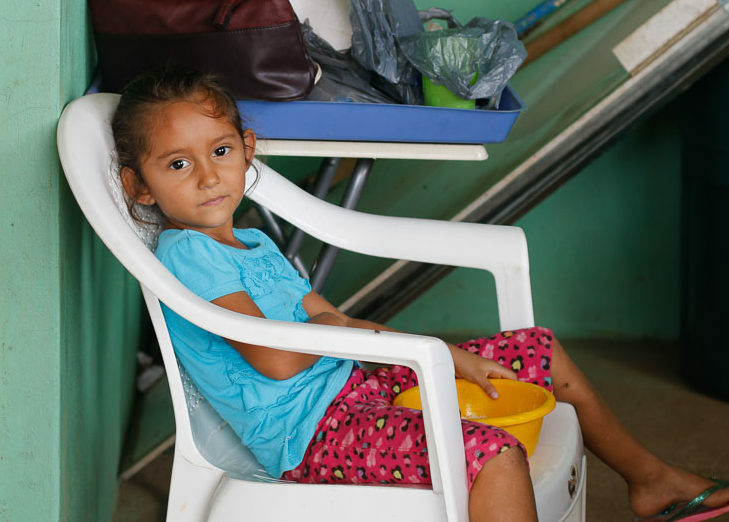 Please, help us ensure a better quality of life for Nicaraguan children and their families by donating to Hope Road Nicaragua's Feeding Programs.